Is It Legal To Use Damaged Banknotes? Someone hands you a banknote that is incomplete, or has staples, tears or holes. What do you do? Is it legal use it? There is currently no law that prohibits the use of complete banknotes that have damage consisting of wear, tear, staples and marks, which does not impact on their value. However Australia’s central bank, the Reserve Bank of Australia (RBA), has a Damaged Banknote Policy that can help you determine how badly damaged is your banknote and what you should do with it. 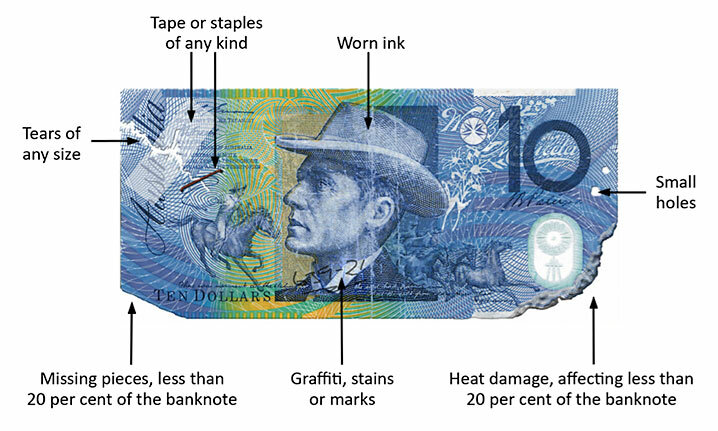 Heat damage that affects less than 20 per cent of the banknote. Generally, unfit banknotes can still be used. The RBA recommends Australian banks (or authorised deposit-taking institutions (ADI’s)) to prevent any unfit banknotes from circulation. Therefore, if you do not feel comfortable using an unfit banknote, you can take it to your bank or another authorised bank in Australia to have it replaced. For a picture of an unfit banknote, check out the RBA’s website to see if your banknote matches their description. An incomplete banknote has a significant piece of it missing. You should take care when accepting incomplete banknotes. You do not have an obligation to accept an incomplete banknote in payment or change. This is because the RBA may not view the banknote to be worth full value depending on whether there are pieces of the banknote are missing. The RBA may value each piece separately and then combine them together into an amount that will equal the amount of the original banknote. You can present the incomplete banknote at your bank or the RBA’s Sydney Head Office for its value to be assessed. You may be able to make a claim at the RBA by completing a damaged banknote claim form. Before you make a claim, you need to understand the RBA’s claim requirements. The RBA’s National Note Processing and Distribution Centre (NNPDC) will assess your banknote and make a decision. If your claim is not processed, the RBA facility may destroy the banknote. Contamination from substances that prevent handling (e.g. chemicals, blood, etc). Badly damaged or contaminated banknotes must be forwarded to the RBA’s NNPDC for assessment. Similar to the RBA’s claim process for “incomplete” banknotes, the RBA will make a visual assessment of the banknote to determine its value. The difference is if you have a contaminated banknote, when you submit a claim form you must place it in a bag containing details of the contaminant written on the outside of the bag. For more information about redeeming damaged banknotes, check out the RBA’s redeeming process. Next time you make a purchase you may use an unfit banknote or a banknote that is slightly damaged (so long as it is not significantly damaged or contaminated). If you choose not to use that banknote, you can exchange it at your bank or an authorised bank in Australia. Be aware that it is not unlawful for businesses to refuse banknotes that are incomplete. Unsure of where to start? 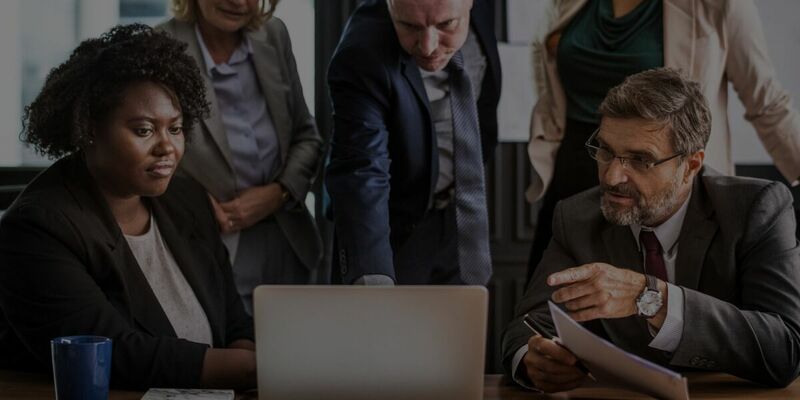 Contact a LawPath consultant on 1800 529 728 to learn more about customising legal documents, obtaining a fixed-fee quote from our network of 700+ expert lawyers or to get answers to your legal questions. 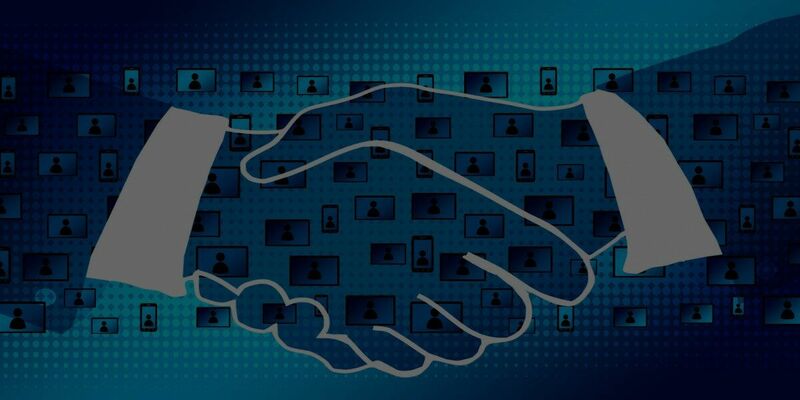 How Does a Distribution Agreement Work? Thinking about entering into a distribution agreement? Need help figuring out how it works? This article covers what you need to know. Being able to distinguish between an employee and a contractor. Here's what SME's need to know. When civil law turns criminal under the Competition and Consumer Act.